Attorney David M. Sunshine joined Stackpole & French as Of Counsel in 2018 when his law practice in Richmond, Vermont merged into the firm. David maintains an active general practice that includes residential and commercial real estate transactions, litigation, estate planning and probate, business startups, and business purchases and sales. He also represents many towns in the collection of their delinquent property taxes. Attorney Sunshine’s experience handling real estate matters is extensive, having searched and closed commercial and residential real estate transactions in many towns throughout Vermont over the past 39 years. He has lectured and taught real estate law to real estate brokers, bankers, and attorneys. He currently lectures on a quarterly basis for the Northwestern Board of Realtors orientation series and has often participated in real estate seminars for lawyers. Attorney Sunshine received his undergraduate degree from Ohio State University and his J.D. degree from Washington College of Law of American University in Washington, D.C. Attorney Sunshine is a member of the Vermont Bar Association and the Chittenden County Bar Association. David serves as the chairperson of the Development Review Board in his hometown of Richmond, Vermont and has been a member of that board for over 20 years. He has also been a member of the Zoning Board of Adjustment and a number of other municipal committees in Richmond. 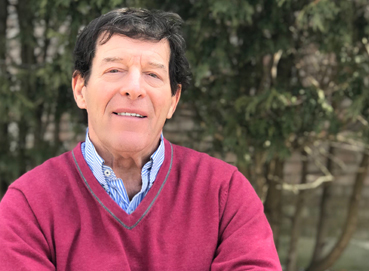 David is a long-time member of the Boards of Directors of the New England Ski Museum in Franconia, New Hampshire as well as the Birds of Vermont Museum in Huntington, Vermont. David is married and has one adult child and two grandchildren and has resided on an old farm in Richmond, Vermont for 45 years. In his leisure time, he is an avid skier, and bicycle rider. He enjoys the outdoors, including hiking, kayaking, and working in the woods.